I may be cheap, but I am no cheapskate. Believe it or not, there is a difference between being cheap, and being a cheapskate. A BIG difference, in fact. I was reminded of this recently with a Kmart shoe debacle I was caught up in. But before telling you about the debacle (a miserable, obnoxious time-wasting debacle at that), I wanted to clarify the difference between being CHEAP…and being a CHEAPSKATE. 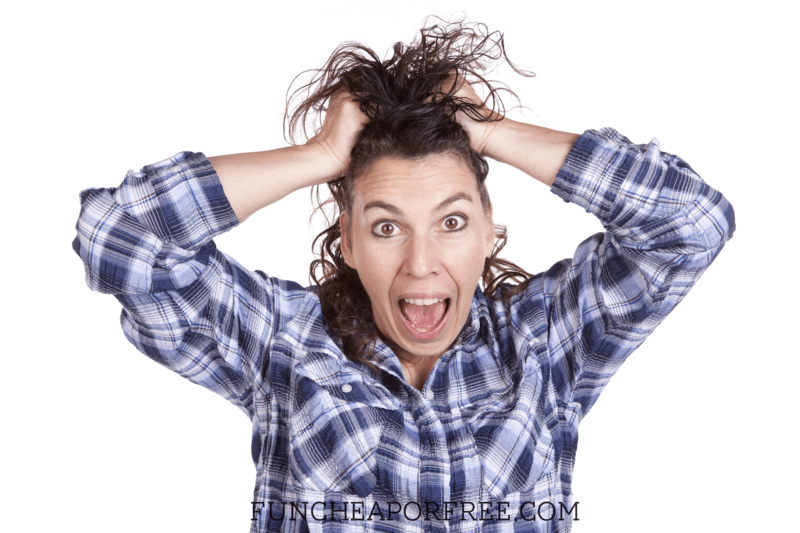 Part of my mission with FunCheapOrFree is to give “frugal” as we know it a big, fat, slap-in-the-face facelift. Often times people think of frugal or cheap as having a negative connotation: leaving a miserly tip, borrowing things or money and not giving/paying it back, giving crappy gifts to people, wearing outdated ratty clothes, being stingy in basically every aspect of life. What I – hopefully – am accomplishing with this blog is to teach the world that “frugal” gives you the power to be the exact opposite of “cheapskate”! Being frugal allows you to do more in life; to buy better things for people than you would be able to otherwise, to seek and find more opportunities to stretch your dollars, thereby giving you more opportunities to bless people. By being frugal Bubba and I are able to feed more people and entertain more in our home, give better gifts, create incredible memories with our kids, strengthen our marriage and go on regular dates, offer 10% of every dime we make to tithing for our church, offer to pay for people at dinner or lunch, sponsor families at Christmas, and, be honest (as annoying as it is) in Kmart shoe debacles. I somehow failed to pack closed-toe shoes for Beck on our last-minute trip to Oregon to visit my family for 2 weeks. I ran over to Kmart (basically the only store in my parent's small town) one day to see if I could find something on sale for him, so he wouldn't be miserable in flip flops (which he despises) the whole trip. I found THESE cute shoes that not only fit his wide feet, but were also on clearance for around $7. BINGO. 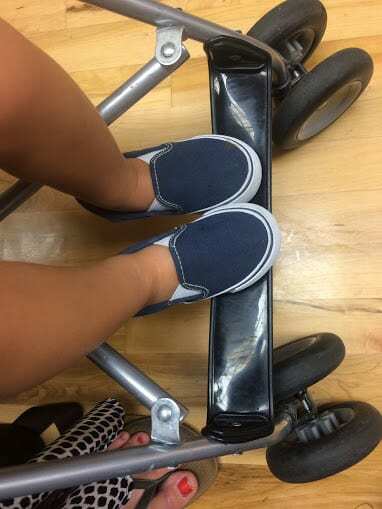 The shoes were so cute and such a great price, I got one pair for each of my 3 kids (don't worry they were all different styles…I'm not that matchy-matchy). I also found a jackpot of summer t-shirts and shorts on clearance and bought a whole stack (they were all $3 or less! I couldn't resist! Plus, I didn't have to grocery shop that week so it was a good opportunity to use my grocery money for the week on back-to-school clothes). When I got home I looked over my receipt (which I always recommend doing, by the way. Often times clearance items ring up incorrectly, I hate to say it, but especially at Kmart. They are known for register errors). They failed to charge me for the 3 pairs of shoes. But…though I am cheap, I am NO cheapskate. The next day I rushed back to Kmart amidst the crazy scramble to get things packed and ready for the week-long trip to the beach we were taking the next day. I had all 3 (tired, cranky) kids with me because my parents were busy. While there, I picked up a few additional things we needed for the beach, then headed to the register. I lucked out and got the world's nicest, but slowest, most error-prone cashier on the planet. You had to feel bad for the guy…What should've taken 3 minutes took 10 or 15. Everything he rang up seemed to beep with an error or problem. Again, I was tempted to keep my mouth shut and ignore the shoe thing…But I am no cheapskate. He looked at me like I had just spoken in Gaelic. I explained myself again, thinking he didn't hear me. Again, nothing. Finally he mumbled something to the effect of, “oh wow, yeah, not sure what to do about that…um…yeah that's interesting….” And trailed off. Yup, this is going reeeeeeally well… (as Hutch falls off the railing he was climbing on, and Beck and Priya start fighting over my phone and crying in the cart). I'm going to spare you the pain. But let's just say that 35 additional miserable minutes later, I finally found someone in the store who could figure out how to charge me for the dang shoes (after the cashier tried and messing it up 3 times, getting stuck on the phone with another customer, chit-chatting with the worker on break next to her, and hand-writing down numbers instead of typing them in directly…still not sure what the logic was on that one). FINALLY I was sent on my marry grumpy way, $21 poorer for it. “I may be cheap, but I am no cheapskate” and walked out of the store with my head held high. …and my kids bawling, bored, and emotional wrecks in the cart. I talk about the difference between being cheap and being a cheapskate in my “Being frugal vs being a cheapskate” post. But again, I want to remind and encourage all of us frugalistias in the world to set the standard high; to be the example of what generosity, honesty, and classiness looks like. I take pride in the fact that I am cheap; that I will take time to find a good deal. I carry coupons with me in my car. I wear yard-sale clothes and get giddy over hand-me-downs for my kids. I don't care about name-brands. I get no joy out of hoity-toity overpriced meals. I feel no desire to shop at expensive department stores. I will find a shortcut or trick to save me a buck, because those bucks add up. …and allow my kids to wear cute shoes. Even if they were on clearance. $150 Christmas Wish List Giveaway! I have 6 children, and sometimes am brave enough to bring all of them with me to the grocery store. On one particular shopping trip, our youngest was still in the infant carrier seat, tucked snuggly in the basket of one of our carts, and our oldest pushed the other cart. The middles were in charge of putting the items in the oldest’s shopping cart. I check out with our groceries, we move the mob along to our car, and begin packing groceries and girlies. I picked up our infant’s car seat, and found a can of black olives. I hadn’t paid for it because I didn’t know it was there. All of the items were supposed to be in our oldest’s shopping cart. At that point, everyone and everything was in the van, so I tucked the olives in the console in between the driver and passenger seats. The next time I was at that store, I brought the can in with me and asked to pay for it. The clerk at the Service Desk said it was fine and I could just have it, but I couldn’t do that. I needed to pay for it! Thank goodness I needed to do more shopping than just pay for a $.78 can of olives! I have to applaud you on your effort. I do the same thing if we miss paying for something. And the reason for doing it is because I want to set a good example for my daughter. Sure, she is only two, but I wholeheartedly believe that she will one day understand and be an honest and upstanding member of the community that people look up to. I’m a big believer that these small deeds bring good things your way. It may have been a pain to pay for the shoes but the next time you go to a busy parking lot, you’ll get the parking spot near the door and it will save you time. Or someone will pay it forward to you in some way. My husband says that kind of “luck” is the result of good clean living! I’m pretty sure that’s true! I think you are AMAAAAAZING! 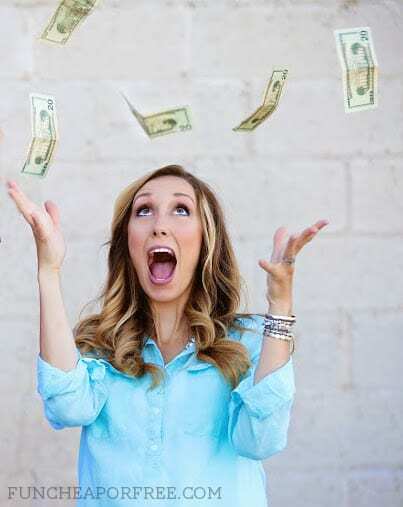 It can be a slippery slope between honest and dishonest when trying to stretch your dollars. You emulate the best ways to get the best deals with your integrity intact! How sad that honest actions are treated as inconvenient or worse, annoying. If I had been there I would have applauded…loudly! I love this story. I think we have all had this situation present itself. I have done both, taken the high road and also fell blame to all the excuses and “accepted the gift”. It is never as sweet when I accept it and if it is a non consumable good, I find that I don’t enjoy it or don’t wear it because it makes me feel guilty. 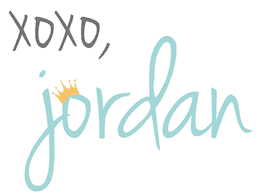 Nice work Jordan! This is a great article. Well done Jordan. Keep them coming they make my day! My comment has nothing to do with this post but I have a question for you. I remember reading on your blog or seeing in one of your videos that you have hired someone to clean your house. I’m having a baby next month and I really want to have someone come deep clean my house before the baby comes! Do you share your cleaning persons info? I’m in south jordan and I’m not sure how to find someone. Thanks!! I really enjoyed this article. Reminding us all to be as honest and upstanding as we can be. Well done! YOU ARE AWESOME!!!!! I enjoy reading your posts. I love this! Most people would have just moved on but you did the right thing and that is something to strive towards. Omg I love this. I always grew up saying I would be that house that gives out the big candy bars on halloween because I HATED when I got stuff like smarties and tootsie rolls. In my 5-12 year old mind they we such cheapskates! Well, 15-20 years later, here I am and yeahhh… definitely not the house i wanted to be hahaha! But there are ways around being a straight up cheapskate, as you mention. Can’t wait to keep learning more!